Mark Wahlberg is 6 kg away from his goal weight after dropping more than 27 kg for his recent role in The Gambler. 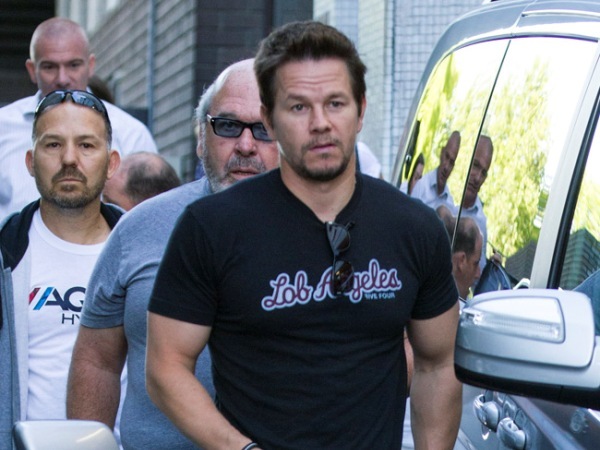 Mark Wahlberg is 6 kg away from his goal weight. The 42-year-old actor shrunk to 62 kg after dropping more than 27 kg for his recent role in the upcoming film The Gambler leaving him almost unrecognisable, but is almost back to his comfortable weight. The Transformers: Age of Extinction star told PEOPLE.com at CinemaCon in Las Vegas: "It's a lot easier to put it on than it is to lose it." Mark regularly bulks up and slims down for acting roles, but seeks advice from experts to make sure he is doing everything as healthily as possible. He explained: "It's just part of the job. I make sure I take all the right steps, take all the right nutrition, all the right exercise, being monitored by doctors. I'm trying to do it in the safest way possible." The actor, who previously admitted he craved donuts and cut out bread, pasta and wine while on his strict diet, is still trying to gain more weight. He said: "I want a little bit more. I like to walk around at 190 ... I like to eat though." Meanwhile, Mark, who has children Ella (10), Michael (7), Brendan (5), and Grace (4) with wife Rhea Durham, admitted his family influenced his decision to join the cast of Transformers. He said: "I haven't really done anything that was kid friendly. That's not the only reason. I don't make decisions that way. It was really the best of both worlds, because it was something they'd be interested in and something I hadn't done before."